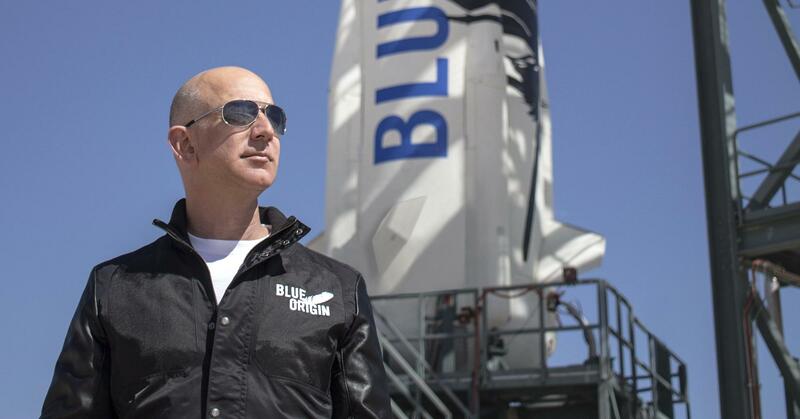 Forward-looking: There was never any doubt that taking a trip into outer space with Jeff Bezos’ Blue Origin company was going to be expensive. Now, two people familiar with the plans have revealed to Reuters that tickets for the New Shepard space vehicle will cost around $200,000 to $300,000 when they go on sale next year. Back in April, Blue Origin completed its eighth and highest-ever test flight, hitting an apogee of 351,000 feet (or about 66 miles). This was followed by a business conference last month where executives announced that test flights with passengers were planned soon, and that tickets would go on sale next year. But the Amazon CEO still hasn’t revealed how much a journey to the stars would cost. Two Blue Origin employees speaking on the condition of anonymity said the tickets would go for at least $200,000 and potentially reach $300,000. The New Shepard can carry six passengers into suborbital space, where they will experience a few minutes of weightlessness and enjoy the view through the crew capsule's massive windows, which measure 2.4 feet wide and 3.6 feet high. Blue Origin’s ticket price is in line with rival Richard Branson’s Virgin Galactic, which has sold 650 tickets at $250,000 each for as-yet-unscheduled space flights. Interestingly, analysts believe each Blue Origin flight could cost the company around $10 million, which means every fully loaded trip would see it losing millions of dollars—at least until it found a way to lower costs. Bezos’ space ambitions go beyond tourism. In May, he elaborated on his plans for Blue Origin to work with NASA and the European Space Agency to create a permanent settlement on the surface of the moon. The world’s richest man is funding the company with his own money, and while the chances of it ever happening are slim, he says “other people will take over the vision” if he ever goes broke.